Radixos is a qualified consultant that oversees the planning, acquisition, logistical staging and installation of furniture, fixtures and equipment (FF&E) items. This allows School Districts the expertise of a firm who can manage the needs of the District with dedicated resources to ensure timely acquisition, receipt and installation of the FF&E components. While working with District staff, Radixos seeks to create a sense of place that will enhance teaching and learning. The FF&E a school selects is the final piece in the capital improvement puzzle. The right choices can provide comfort, function and aesthetics that enhance the space. Each school is unique and the FF&E varies as the educational philosophy and staff preferences differ. Selecting a superior FF&E product with Radixos will save operational costs upfront and maintenance costs in the future. 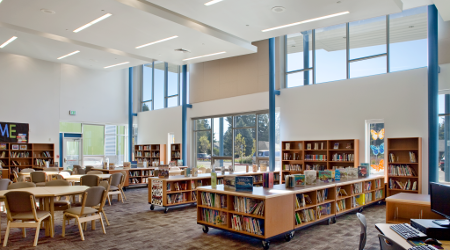 Radixos has provided full furniture, fixtures and equipment (FF&E) consultation services for 8 School Districts on over 30 new and renovated schools in Washington State. Work with the District staff to verify adequate materials and supplies are available.